Kevin Durant has a well accomplished career in the NBA. 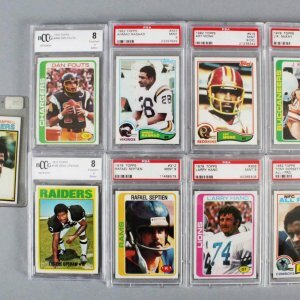 So far, among his accomplishments he has won two NBA Championships, a NBA MVP Award, four NBA scoring titles, the ROY Award, two Olympic gold medals. He was also on eight All-NBA teams and 10 NBA All-Star teams. 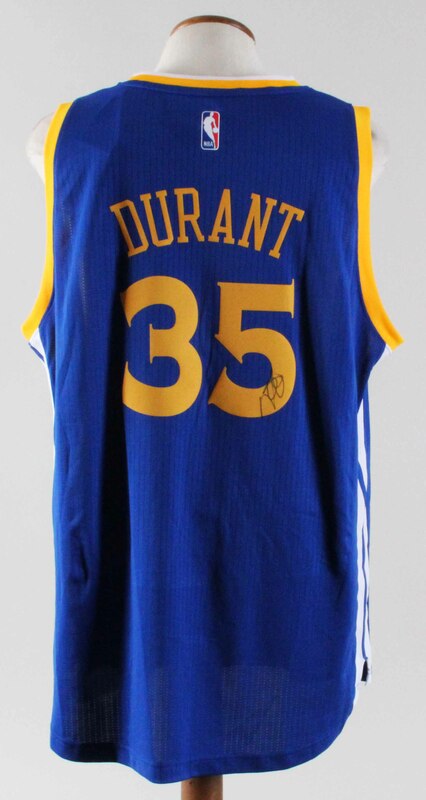 Presented is a Golden State Warriors jersey autographed by Durant on the back number in black felt tip (“8-9”). It is an Adidas Swingman jersey XL with Length +2.